Fortress Railing Balusters are 100% pre-galvanized steel with a premium powder coating that attractively integrate into wood, composite, vinyl or metal railing system. You will get the look of an expensive custom made wrought iron deck rail for a fraction of the cost. Make your deck unique by installing designer steel deck railing balusters. These rail systems are easy to install, are affordable and look beautiful. Most of the back-breaking labor involved in maintaining a wood deck is from painting and staining the surfaces of the rail balusters. 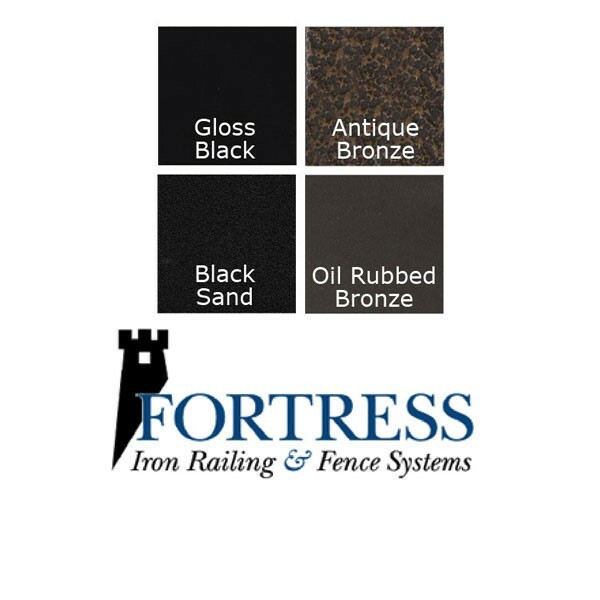 Each Fortress Railing product line is protected by specially engineered formulas specific to each individual product line to resist effects of weathering. To bring you the strongest and most durable railing system on the market, Fortress Railing Products are coated with DuPont(R) powder coating that is loaded with UV inhibitors. All products are backed by a warranty against manufacturer’s defects. 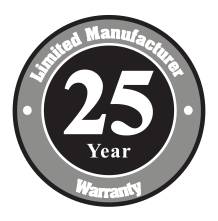 For more information regarding warranty on the product you are interested in, click the warranty button on that page to view the general warranty statement with the option to download the full warranty.